Gothenburg (SWE), December 11, 2013 - 82 professional photographers spanning nineteen countries took part in the Mirabaud Yacht Racing Image 2013. 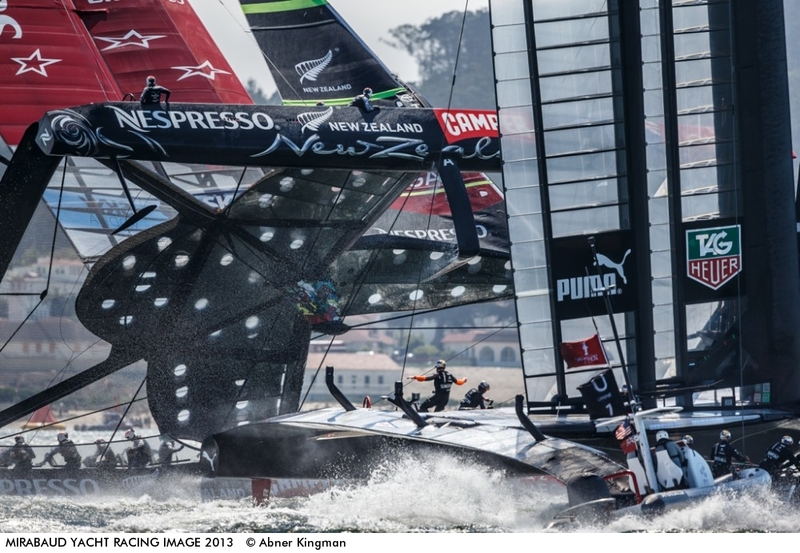 US photographer Abner Kingman, based in San Francisco, won the main award further to a selection made by an international jury consisting of nine specialists from the yacht racing and photographic industries (see list below). Rick Tomlinson (UK) won the prize of public. UK photographer Rick Tomlinson wins the «Public Award», selected by the delegates from the World Yacht Racing Forum in Gothenburg (Sweden). The delegates were asked to name the best yacht racing photograph of the year out of the twenty pictures preselected by the public on Internet. Tomlinson’s photograph was taken during trials of the new Volvo Ocean 65 SCA. A selection of the photographs got sold during a silent auction on Tuesday night, in favour of the Andrew Simpson Sailing Foundation, raising over 4’500 Euros. Thanks to the support of Mirabaud, TAG Heuer and Nespresso, as well as the event’s media partners, the Mirabaud Yacht Racing Image 2013 has been very successful: the dedicated website has been visited by more than 100’000 individual visitors in just one month, and there have been close to 600’000 page views.